Shown the 2 places model, width 270cm (106,38 inches), decorated frame in silver colour. This wall styling unit comes with a extruded aluminum frame in white, decorated in style " Marcel Wanders". Under-shelf electrical outlets included. 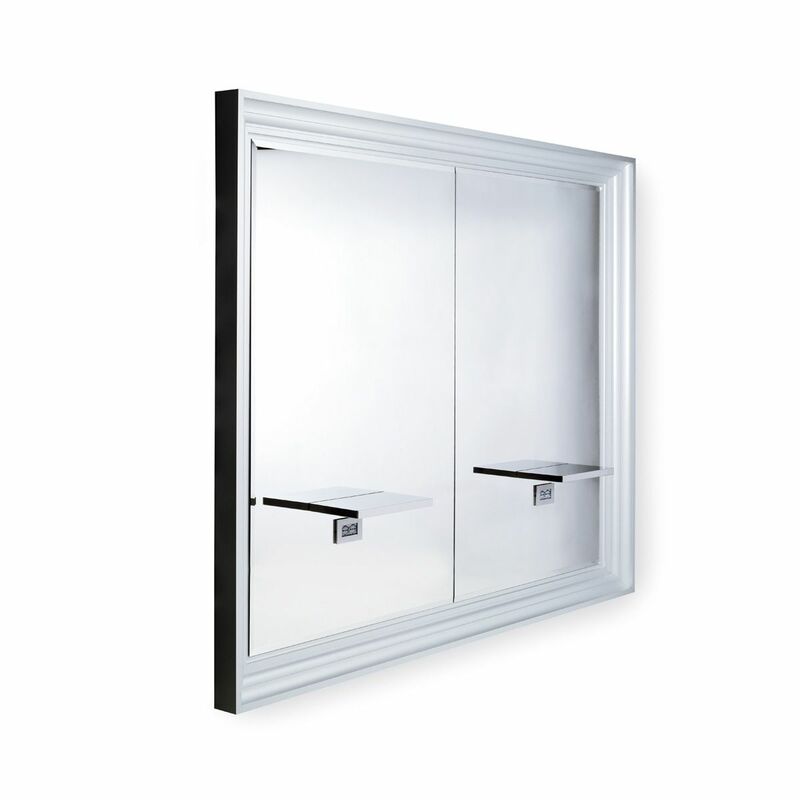 Bevelled mirror, stainless steel shelf.